Side Sealed Neoprene Padding: The 6mm Neoprene padding has been sealed from the sides which prevents the common issue of the pad wearing out. Anti-Slip Rubber coating: Nonslip coating material on the hooks that prevents slipping. Wrist Support: Wrist support is made of 2.5" Towel Coated neoprene padding and heavy duty Strap. Velcro: Easy Velcro closure helps you adjust according to your wrist size. Velcro used in our products are heavy duty industrial Velcro. 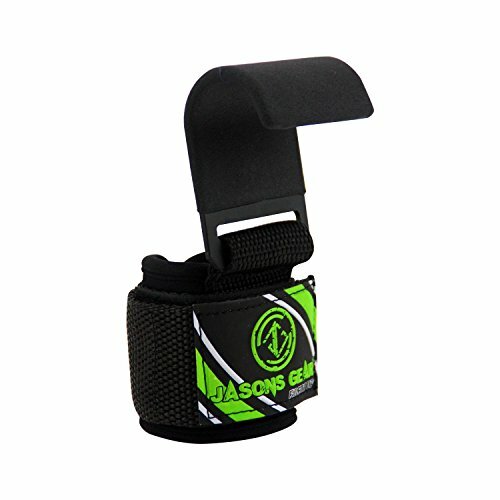 If you have any questions about this product by JASONS GEAR, contact us by completing and submitting the form below. If you are looking for a specif part number, please include it with your message.